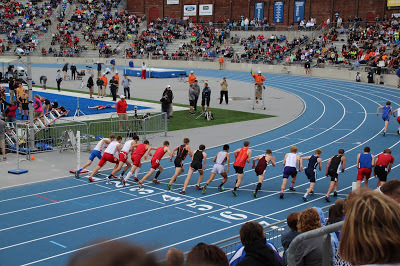 Thanks to those of you who wished us luck and offered good wishes for Patrick’s trip to the Iowa State Track Meet. It was quite the experience and one I’m sure he will never forget. 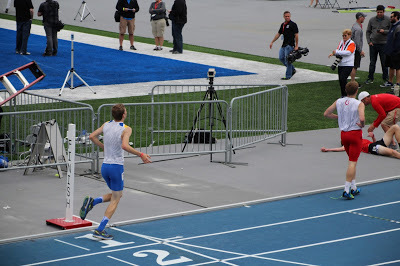 Even though he didn’t run his best race ever, he ran on that famous blue oval and had a blast. 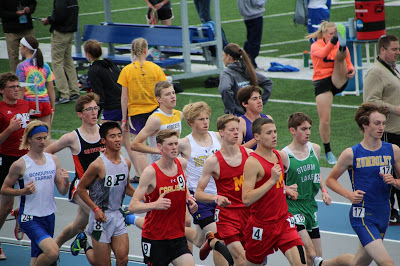 He finished 21st in 3A in 10:10.45 which is a great time. I have no doubt his Cross Country and Track season next year will be full of success. This week closes out the 2016/2017 school year for us. After this week, our focus will shift towards preparing for graduation and college for Patrick. We have numerous college visits to fit in this summer. We need to start looking at scholarship applications. I have a HUGE project list of items to work on in preparation for Patrick’s graduation party. I am sure many of you are thinking…um…that is a year away. But, if I am anywhere as close as busy next school year as I was this year, I have to do as much as I can this summer. Thankfully, I have a pretty light summer. I will be joining the band/choir students on their trip to DC/NYC in early June and then after that, I’m free to run my own schedule pretty much. After last summer of the major house remodel taking over our lives, I am frankly, quite thrilled to have a peaceful, relaxing summer. Yesterday, we watched many special students graduate. So many of these students feel like part of our family and I will miss seeing them in the halls and having them in our home. 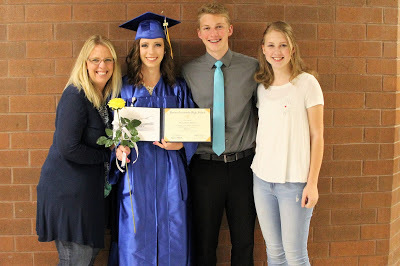 Kelsey is very special to our family and we look forward to seeing all that her future holds! Congrats Kelsey! Next week I’ll be sharing the books that arrived in May and what I am excited to read this summer. I’ll also give an update on the two reading challenges I’m in and what I have left to read to complete them. I can’t wait to get back to reading and reviewing books. I’ve missed it, but when life is full, something has to drop to fit in what is important at the time. I also have a couple product reviews to share with you and they are both items you might want to have this summer! As always, thanks for waiting for me to bring you more books and letting me share a bit about our life here.